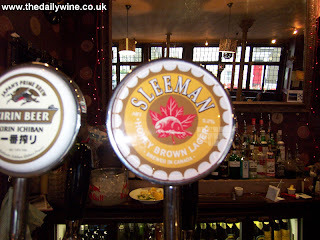 I MET AN old friend for a liquid lunch of Ontario brewed, Sleeman Honey Brown at the 'Sun in Splendour', Notting Hill. Golden rivets underpin this slightly viscous lager which brought out the butternut in my squash, pecorino and sage risotto. My attention is diverted towards a Sangiovese with bite (albeit sprinkled with a pinch of Cabernet). 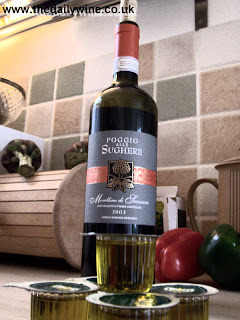 It is a heatwave ['03] Morellino di Scansano from Poggio Alle Sughere. Although not yet ready to perform, I liked the gently fracturing warm leather saddle aroma and typical pomegranate finish. 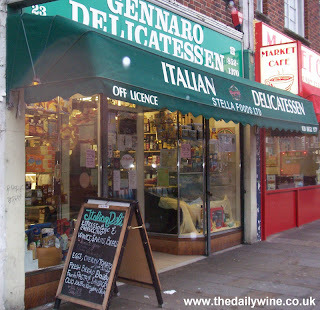 This came from my relatively local Italian deli (pictured) for £10.99. 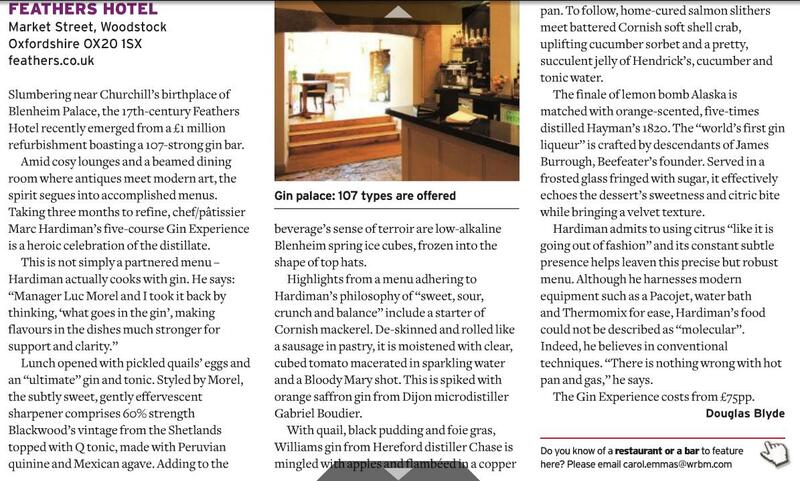 Not bad, especially considering they threw in UHT milk style olive oil receptacles. 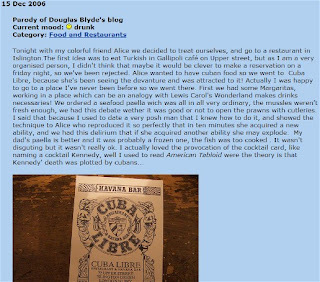 I just received an e-mail from former colleague, Edgar Ciceno who arranges 'Winy Nights' at his university, LSE. 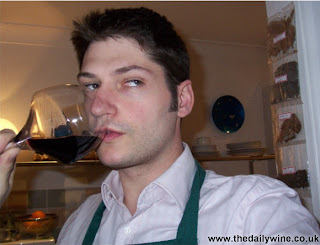 Somehow he enticed Gary "Vay-ner-chuk", force behind (and face in front of) Wine Library TV, a wine blog captured on digital video instead of in words. I strongly advocate a look. 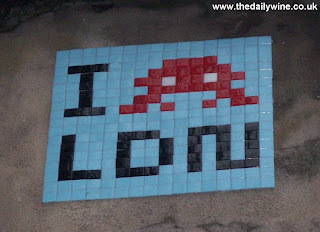 A Parisian graffiti artist with flair has furthered the Entente Cordiale to place several 'Space Invaders' in London. Here is one at London Bridge.